Choosing the right treatment for your menopause symptoms is no easy task. It means looking carefully at your unique symptoms as well as your medical history. Any decision you make should be made after speaking to your doctor, particularly as you may need a prescription treatment for your menopause symptoms. Before you can make the right decision about your menopause treatment, you should take a quiz on menopause treatment to find out more about your own body and health while looking at what you know about menopause treatments. 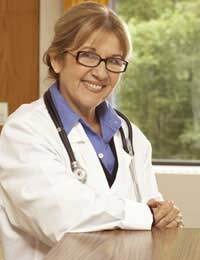 Is Hormone Replacement Therapy (HRT) for everyone? The answer is no, it is not a suitable therapy for every woman who is experiencing her menopausal transition. Initially, the media jumped on the therapy as the new 'thing' for menopause symptoms. Shortly thereafter, a study linking it to cancer and other health conditions resulted in a media backlash as it was condemned as dangerous for all women. Now, however, we know that HRT used in the short-term for most women is helpful for easing menopause symptoms and also has a protective effect on bone health. If you have a strong family history of certain health conditions though, you may not be a good candidate for HRT. This is something you will need to speak about with your doctor. Also keep in mind that the longer you remain on HRT, the higher the risks. If menopause is natural, does that mean I don't need treatment? Just because menopause is a natural change of life, does not mean that you should suffer through uncomfortable and distressing symptoms. Some of the backlash against treating menopause results from the mistaken belief that because something is a natural occurrence, we should simply ignore it and not address the challenges of the process. Menopause in itself does still bring certain risks to your health. For instance, the bone protective effect of oestrogen means that as you experience the menopausal transition and subsequent drop in oestrogen levels, you are susceptible to thinning bones, which can lead to osteopaenia or osteoporosis. For this reason, some women choose HRT while others focus on calcium supplementation, weight-bearing exercises and a varied diet that includes calcium-rich foods. Your doctor can look at your specific combination of menopause symptoms and together, you can determine which ones are the most significant to warrant treatment. Since I don't want to take HRT, do I have to just suffer in silence? Some women choose not to take HRT, whether it is because their personal health profile means they are unsuitable candidates for the therapy, or because they simply choose not to take HRT after having weighed the risks and benefits. However, this does not mean you must suffer in silence. There are a number of natural options you can try for your menopause symptoms. Whether you choose gingko biloba, black cohosh or any other natural herbs or supplements, there are numerous options to treat menopause symptoms without HRT or other prescription approaches to menopause. Menopause brings many changes, some positive and some quite challenging, particularly when you have to deal with the perils of hot flushes and other symptoms that can really interfere with your work and personal life. Fortunately, you have many options to handle your menopause symptoms, whether you ultimately choose the natural route, HRT route or a combination of the two. Start by making an appointment to see your doctor. Together, you can find the safest, most appropriate and most effective menopause treatment for you.